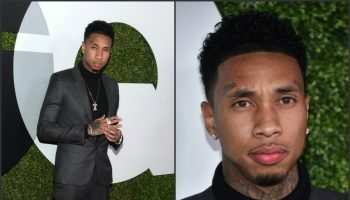 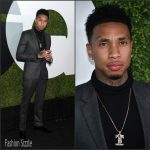 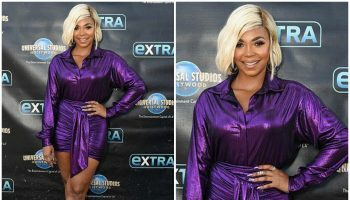 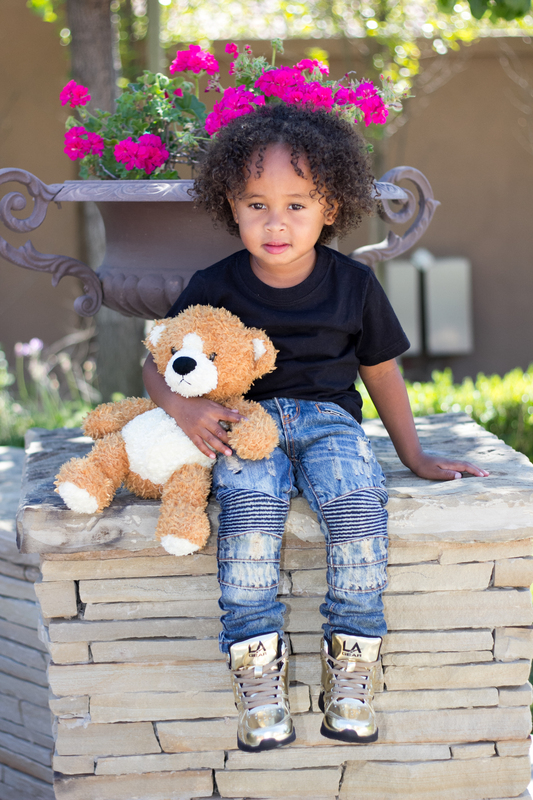 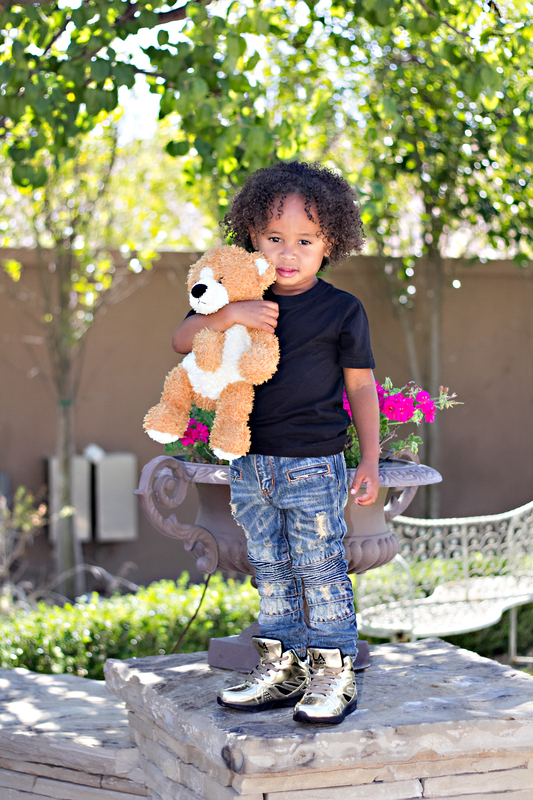 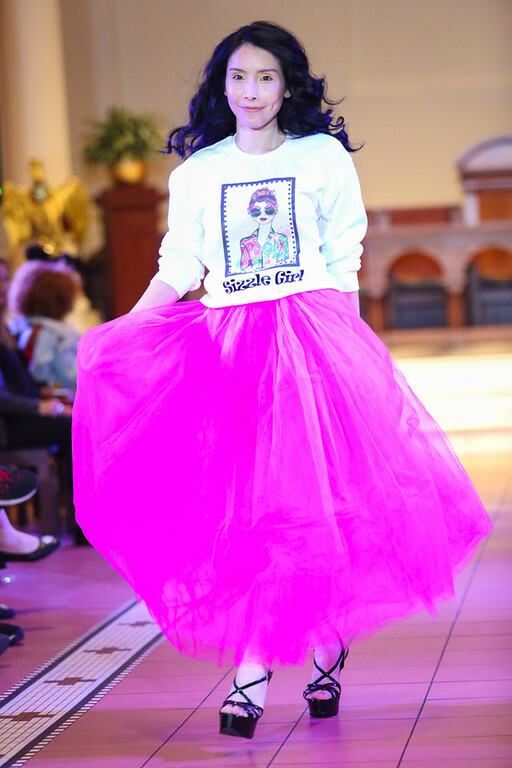 King, son of recording artist Tyga, makes his modeling debut in L.A Gear’s Kids Fall/ Back-to-School collection made in honor of him! 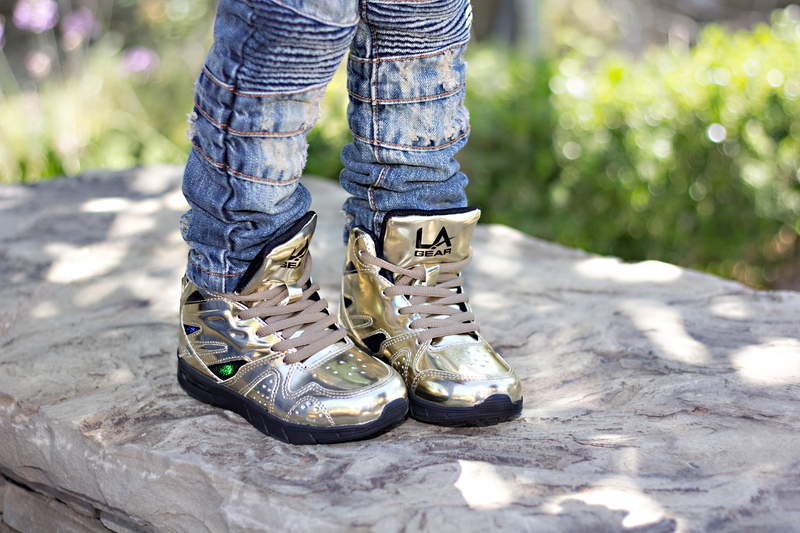 As dad’s muse, King inspired TYGA to create a kids collection that echoes TYGA’s own Liquid Gold Light Ups design. 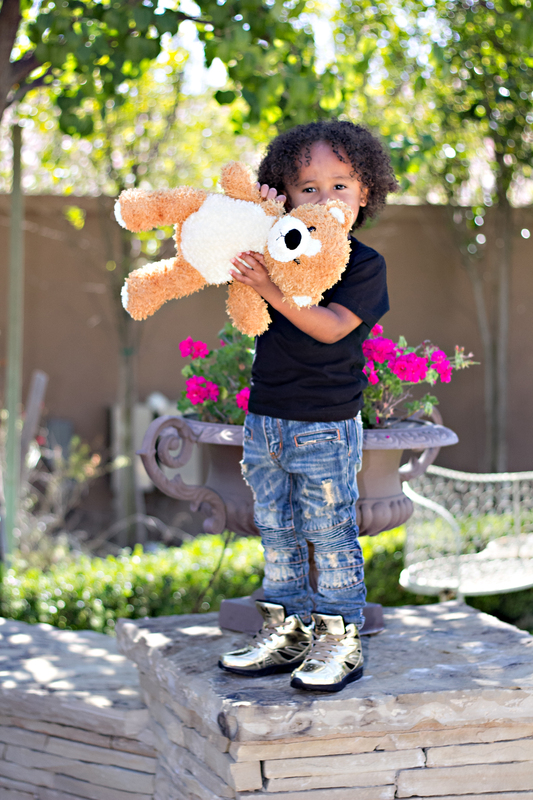 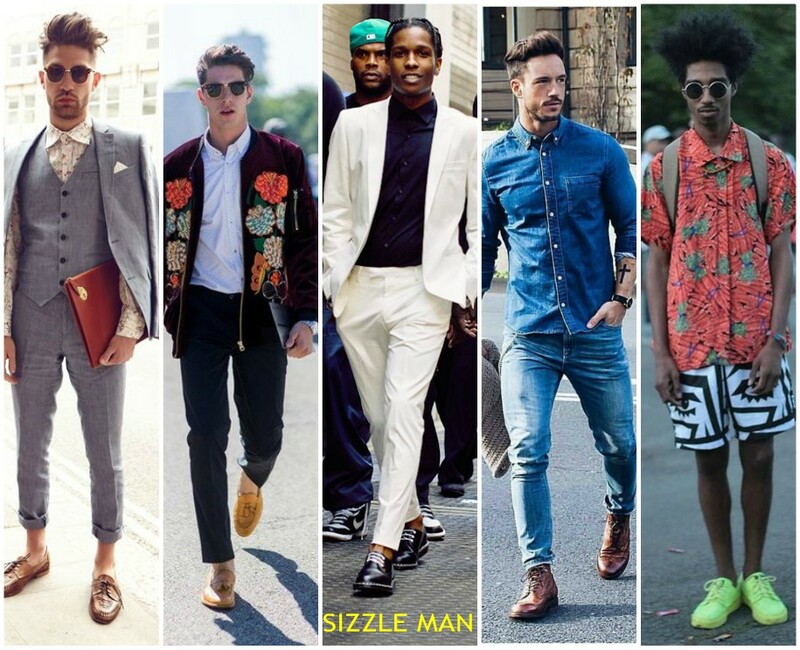 Take a look as King follows in Tyga’s footsteps with the love of all things gold.